A Nashville native with a flare and passion for fashion who now interns with us as our Boutique Liaison. The Grand Ole Opry...the numerous western stores on Broadway...the aspiring musician on every corner...Nashville is known for its country music, no doubt about that. Though, as fashion is finally taking a stance in the city, it's inevitable to assume the two will collide. But when? The CMT Awards of course! It's the one of the few times a year a red carpet event is broadcast nationally from our city. So what do the stars wear? Laura Bell Bundy looked stunning at the 2011 CMT Awards. She stood out effortlessly with a metallic zig zag and floral print cocktail dress. The 3D flowers at the bust gave it even more of a personality. The red carpet is all about standing out from the rest. Maksim Chmerkovskiy arrived in 2010 with a tasteful black suit and white shirt accented with a pin stripe tie. What drove me to this suit was the two toned satin peaked lapel, which gave some extra flair. Nothing does it like a classic suit. From 2009, I really loved Jenifer Nettles dress by Rachel Roy. What caught my eye was the bustier top and mesh center. The asymmetrical hemline was definitely on trend that year. The champagne color and modern cut of this dress was perfect for the occasion. 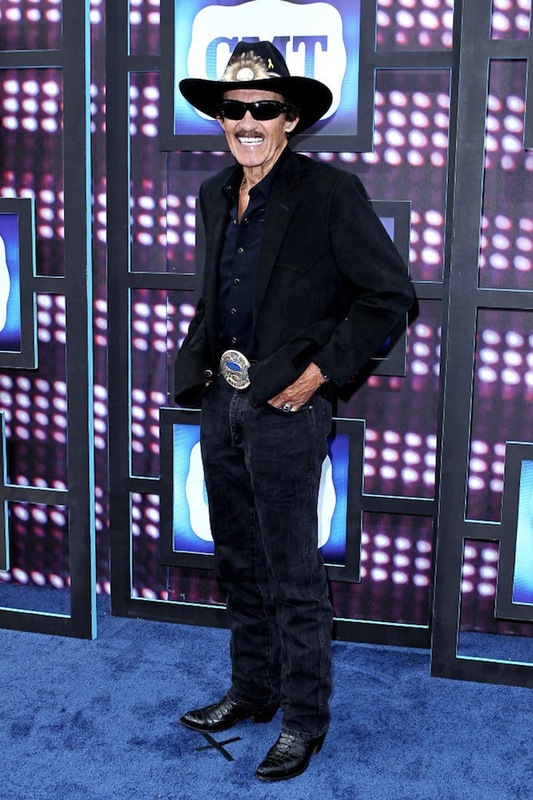 Of all the star attendees of the 2010 awards, no one seemed to do it like race car driver Richard Petty, fit with a feathered hat, leather cowboy boots, black denim jeans, and a big belt buckle to match pulled together with a blazer. The CMT awards wouldn’t be right without a getup like this. The CMT Music Awards isn't all for Nashville's festivities. There's the CMA Festival, of course. June 7th through 10th, Nashville will get to experience four days of performances and meet and greets. So what do YOU wear? What about this sweet summer dress from Blush? It's draped details and subtle color blocking are very fashion forward. 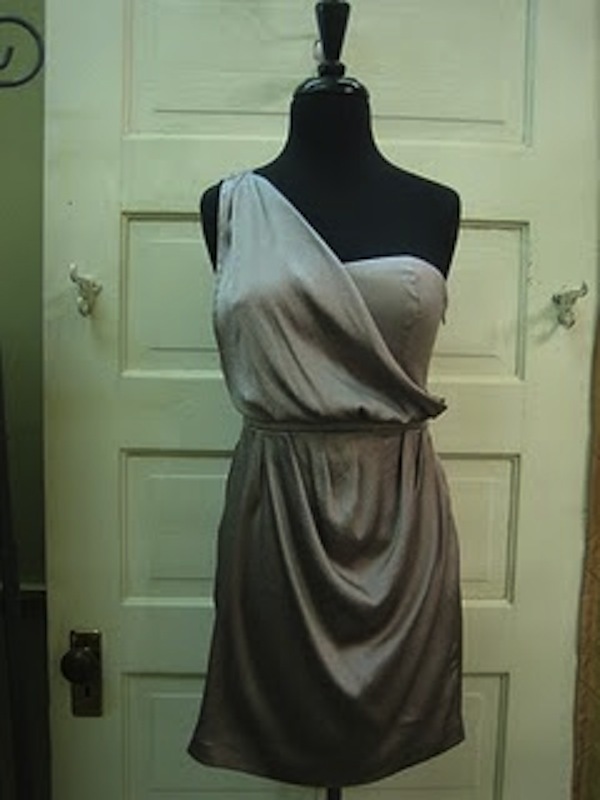 Pair it with a cute silver necklace to keep up the cool tones of this dress. Got CMT Music Awards tickets? Try this one-shoulder cocktail dress from Hemline. The waist and neckline of this dress are very flattering and would make anyone look great for the night. If you’re looking something to transform from day to night, try something similar to this look designed by Megan Wilson seen at the O'More College of Design Fashion Show. Pair a top with a dressy neckline, slim fitting pants, and eye catching heels. Like what you see? Check out more from Megan at http://www.facebook.com/VentageClothing. 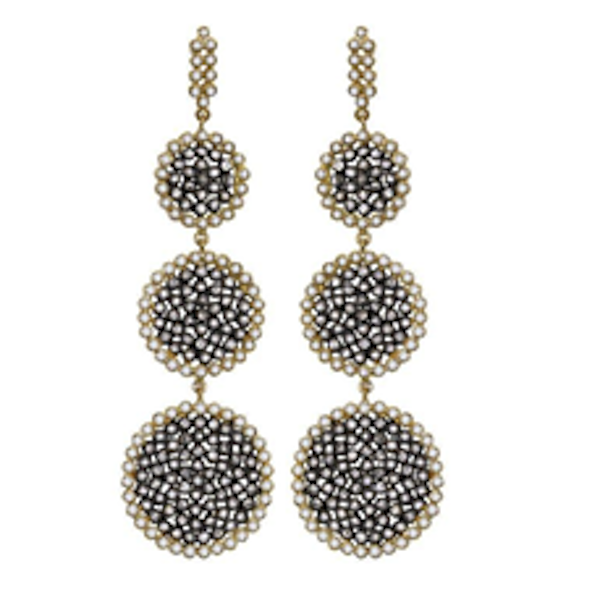 Complete any evening look with these triple drop diamond earrings from Gus Mayer. 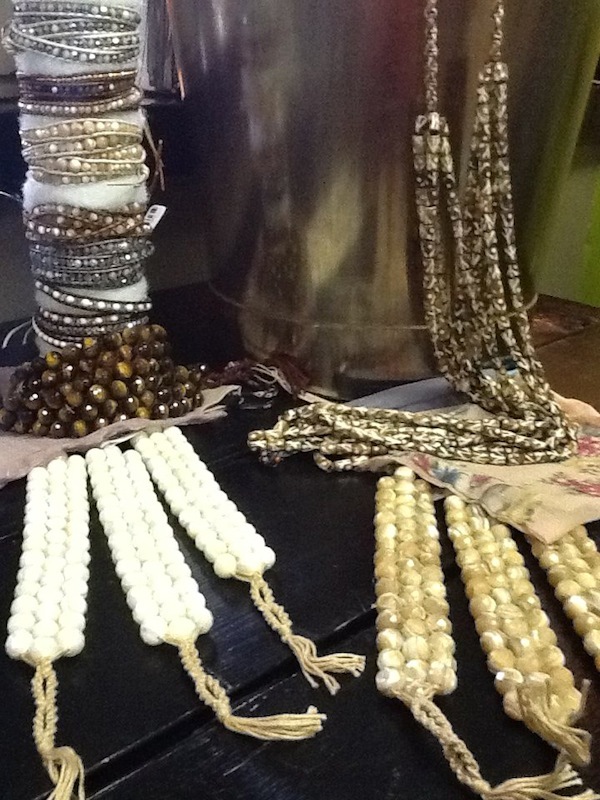 These ivory beaded bracelets from The Cotton Mill would compliment any summer outfit. It's not downtown Nashville without cowboy boots. These all white Laredo's could easily be paired with almost any color sundress. The creamy white color will make you stand out in the crowd. Find these and other boots at Goodbuy Girls. Ankle boots are a great way to transform any outfit into a stylish ensemble. They go lovely with both short and longer dresses. Try this color blocked peep toe boot from Studio 615. No one wants to carry around a big heavy bag in the hot sun. A light weight clutch is a solution! Try this one from Muse. Bold colors like this orange are for sure in this summer!